McAvoy is a marvel; the film not so much. M. Night again confounds but always gives a plot twist. 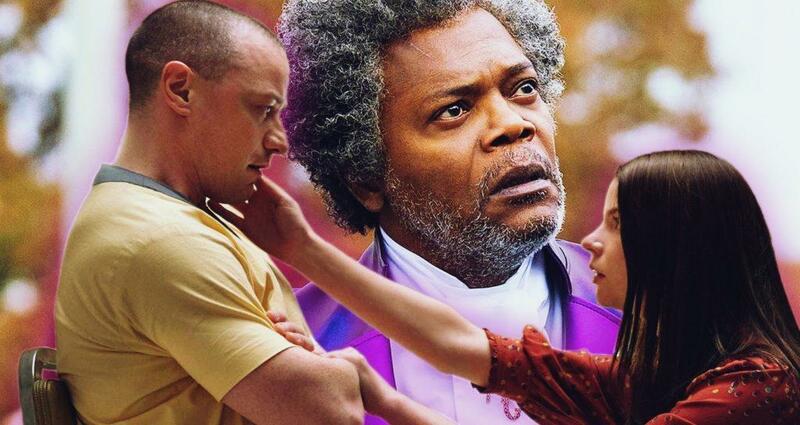 M. Night Shyamalan’s Glass, the third in Shyamalan’s Eastrail 177 trilogy after Unbreakable (2000) and Split (2016), breaks into fragments of story line that the director, in his classic style, ties up through twists that partially put the pieces together. Although James McAvoy’s multiple split personalities are more bearable than in Split, and we do get into his psyche better, the character still confounds as his parts elide and crash up against each other. As chief psychiatrist Ellie (Sarah Paulson) deals with three sociopaths who think themselves super heroes, the common denominator is traumas from childhood that never leave and do contribute to the adult’s aggressive behavior. This disclosure is made multiple times in the film---unnecessarily. In addition to McAvoy’s many personalities, David Dunn (Bruce Willis), a former security who should not be imprisoned in an asylum, is committed to arresting those McAvoy wackos while Glass (Samuel L. Jackson), a comic book fanatic, acts like a super villain right off the pages. The director’s homage to comic book culture is a bit late since comic book super heroes have peopled the pop cult scene for almost 20 years. I’m making more sense than Shyamalan, for the basic story centers on the three inmates freeing themselves from the hospital and themselves. The sterile and lonely hospital might evoke Silence of the Lambs except that Hannibal Lecter is so much more developed than these one-dimensional, pulp heroes. In addition, Lambs doesn’t have to rely on plot twists to create an atmosphere of dread and fear. Agent Starling (Jody Foster) and Lecter (Anthony Hopkins) fully embody the good and evil, no one dimension for them. McAvoy should receive some award for his seamless trips to his character’s personalities. Willis and Jackson are underused, and perhaps that’s my dilemma. Glass would make much more sense and have more intrigue if there were more of their characters. But then there would be more split characters to deal with. Enough already.